Tennessee: Chumley, when Doctor Chess sees what a great coordinologist I am, I’m sure he’ll let me join his expedition. Tennessee Tuxedo will not fail! 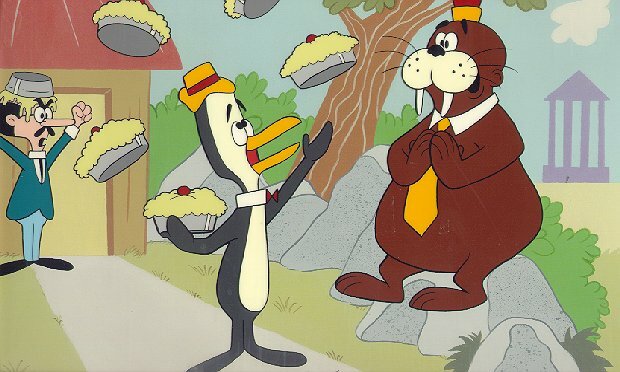 Chumley: Duh, gee Tennessee, don't let Doctor Chess see that pie on Stanley's head!